The following article, written by Jerry Finzi, appears on Grand Voyage Italy. 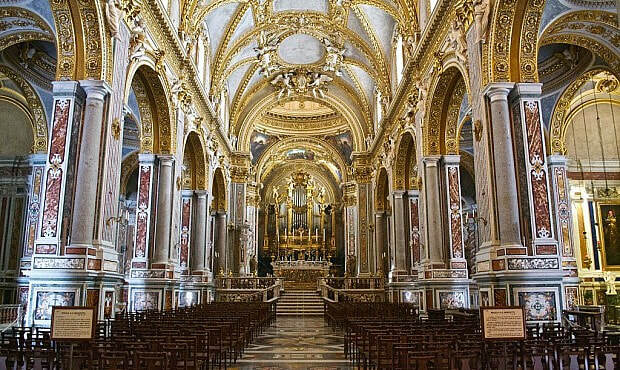 Monte Cassino, in the province of Lazio, is located 81 miles South of Rome within the ancient town of Casinum, but it is best known for its historic Benedictine Abbey that was a focal point for one the most bloody WWII battles. It was St. Benedict of Nursia who established the first Benedictine monastery around 529. 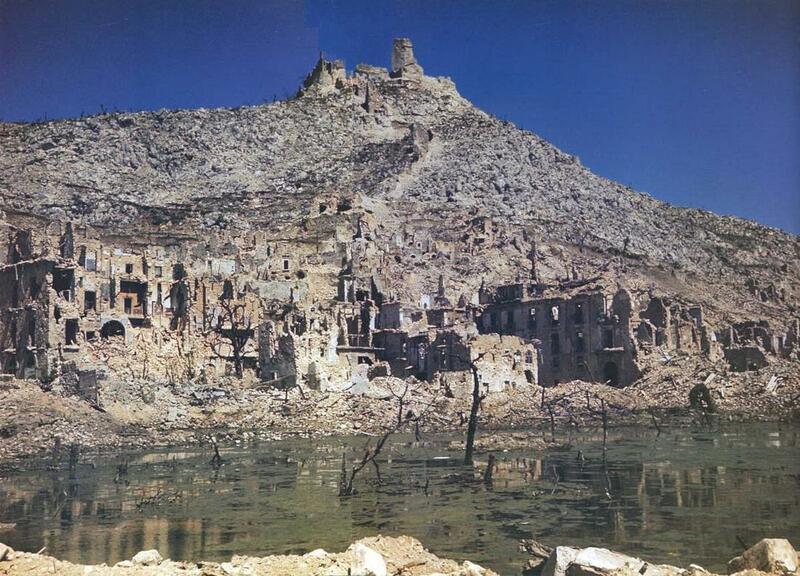 After months of battle and tremendous a loss of life in 1944, the Abbey suffered severe damage as a result of bombardment by the Allied Forces. After decades of extensive restoration, this architectural wonder and historic landmark once again attracts tourists and pilgrims from all over the world. The site has been visited many times by Popes and other senior clergy, including Pope Benedict XVI in May 2009. This modern rebuilding was not the only time Monte Cassino needed to be reconstructed. In 884 the Saracens sacked and then burned it down, and the Abbot Bertharius was killed during the attack. The monastery was subsequently rebuilt and reached the apex of its fame in the 11th century under the Abbot Desiderius (Abbot 1058–1087), who later became Pope Victor III. St. Benedict founded a hospital that is considered today to have been the first in Europe of the new era. Benedictine monks took care of the sick and wounded there, according to Benedict’s Rule. Benedict founded twelve communities for monks at nearby Subiaco and hospitals were founded as adjuncts to the monasteries to provide charity. 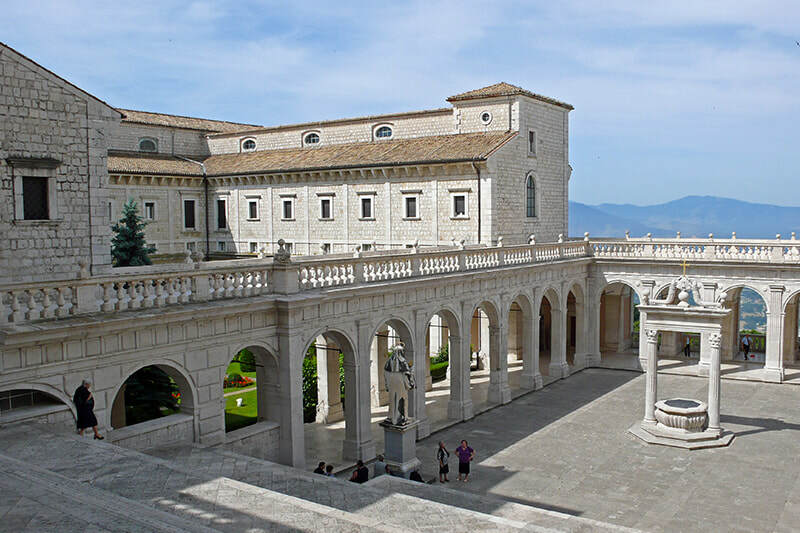 Soon many monasteries were founded throughout Europe, and everywhere there were hospitals like those in Monte Cassino. 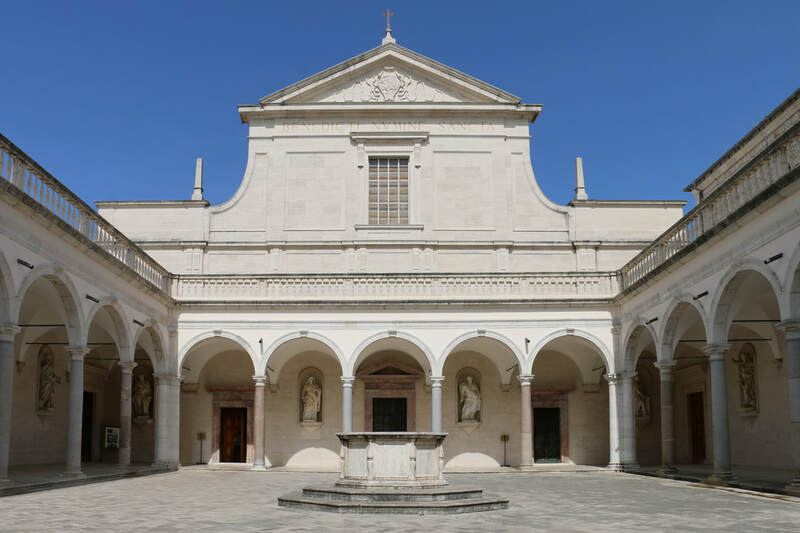 By the 10 and 11th centuries Monte Cassino became the most famous cultural, educational, and medical center of Europe with a library in medicine and other sciences. Many physicians came here for medical and academic knowledge. The site was also sacked by Napoleon’s troops in 1799. After the dissolution of the Italian monasteries in 1866, Monte Cassino became a national monument. 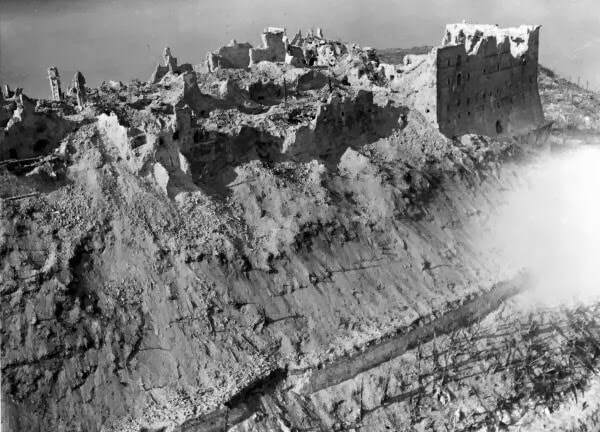 Curiously, during the Battle of Monte Cassino in the Italian Campaign of World War II, the abbey itself was not captured or used by the German troops as part of their fortifications. It was Albert Kesselring, the German commander, who wanted to prevent the historical site from becoming a victim of war. But the abbey fell directly on the Gustav Line, which stretched from the Tyrrhenian to the Adriatic coast in the east, a crucial boundary. Monte Cassino itself overlooked a main highway on the path to Rome. 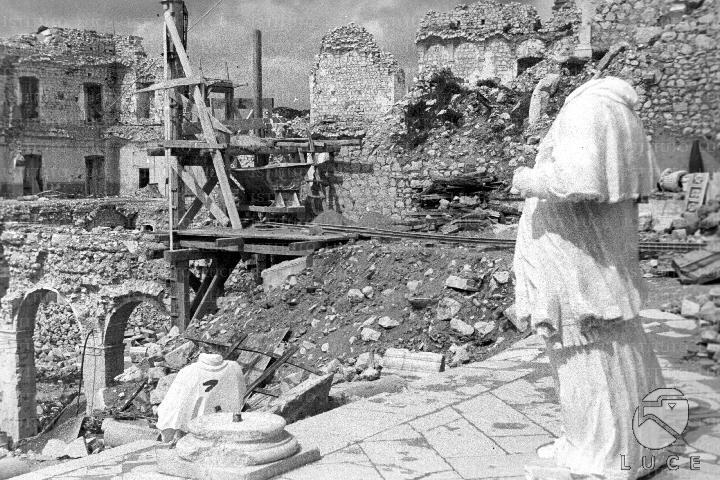 On Feb. 15, 1944 the abbey was almost completely destroyed in a series of heavy American-led air raids, an order given by the Commander-in-Chief of Allied Armies in Italy, General Sir Harold Alexander of the British army. The order was based on erroneous reports from troops on the ground that Germans were occupying the monastery. After the abbey was destroyed, it was confirmed that the only people killed were 230 Italian civilians seeking refuge there. It was only until after the bombing that its ruins became occupied by a German paratrooper division, because of its excellent vantage point. The Abbey was rebuilt after the war; Pope Paul VI reconsecrated it in 1964. Three war cemeteries were built: the “Cassino War Cemetery”, housing the Commonwealth victims, the Polish Cemetery and the Germanic Cemetery. The basilica, richly decorated in stucco and mosaics, enshrines the relics of St. Benedict and his sister, St. Scholastica, which survived the bombings. The abbey museum displays medieval art and artifacts from the monastery and explains the history of monasticism. 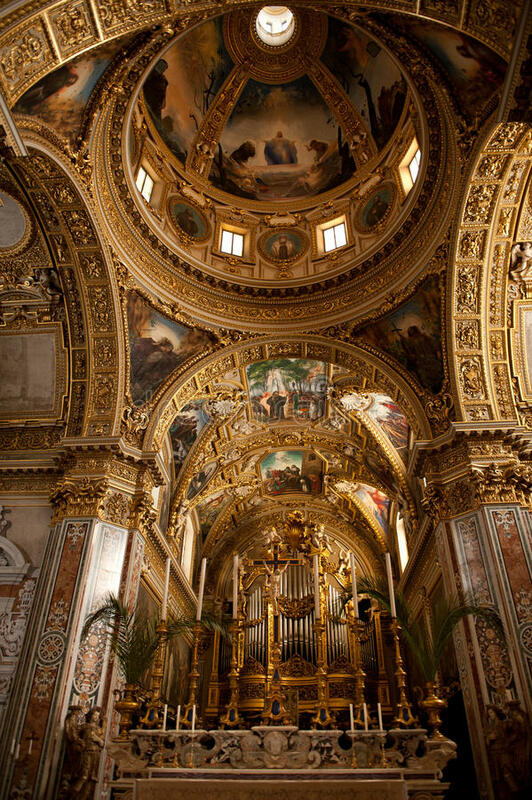 Rich in art, culture and cuisine, Palermo delivers the Italian experience that attracts travelers to its doorstep.